About Profound Splash ⋆ Profound Splash! 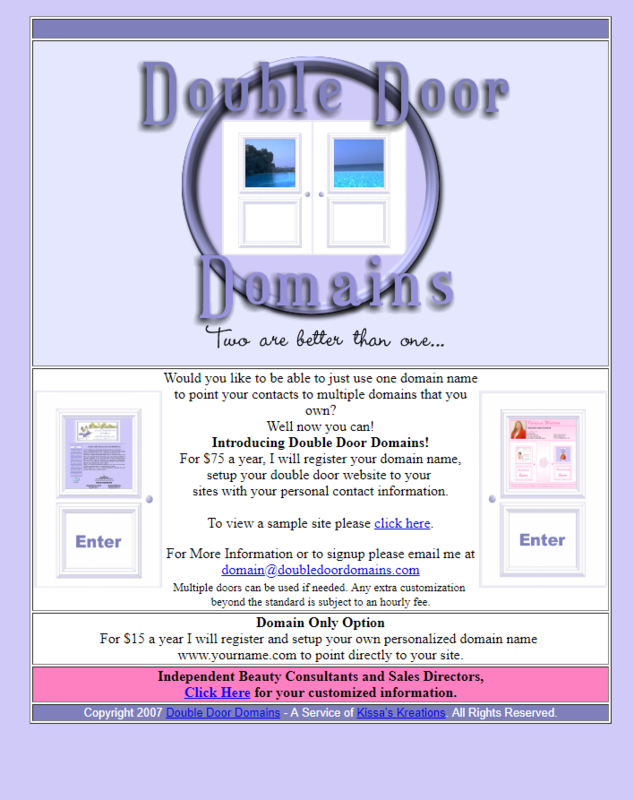 Way back in 2006 I, Karissa Skirmont, came up with this concept which I called “Double Door Domains” which showed screenshots of 2 websites through the window of a real door. 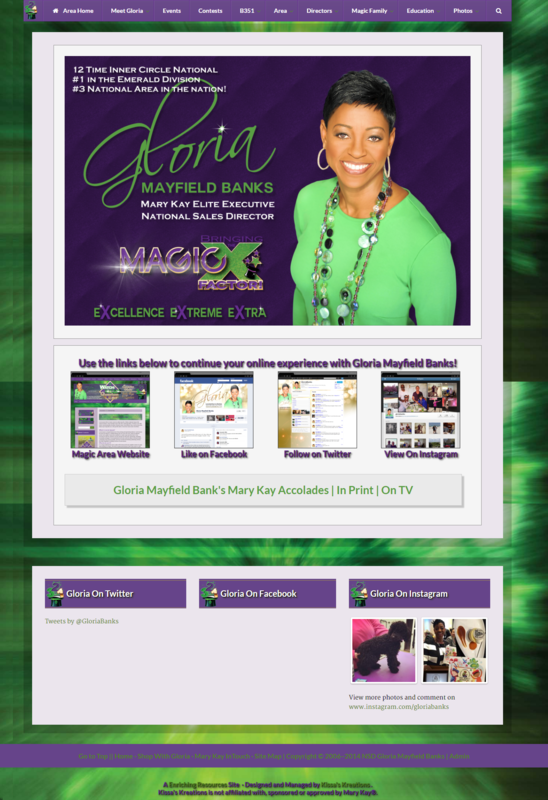 I had two versions, one for entrepreneurs and one for those in Mary Kay. It was rather rough but alas that is where everything starts. 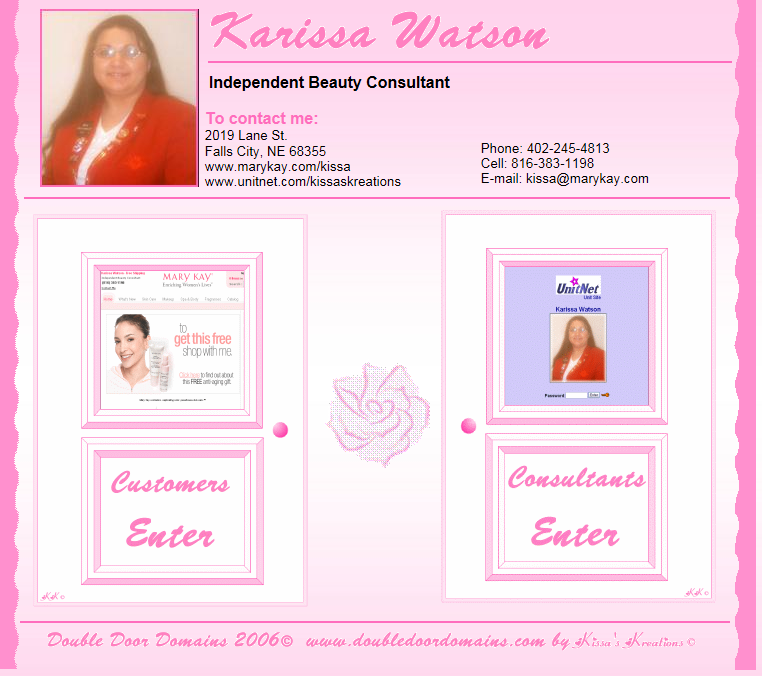 Here was my personal one for my Mary Kay customers and team. In 2009 I perfected it with the now #1 Mary Kay National Sales Director. 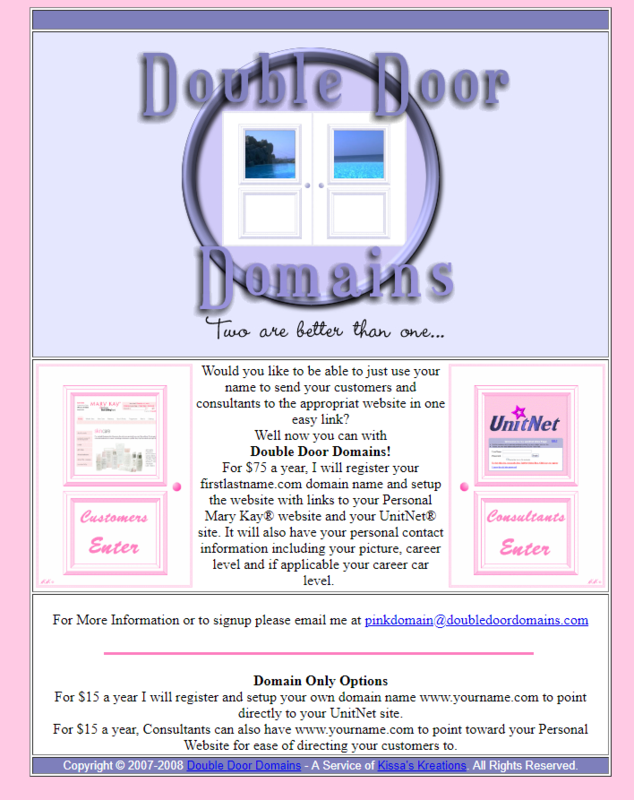 Then in 2014 I updated it with a her new branding and it evolved into the front of a much larger site. 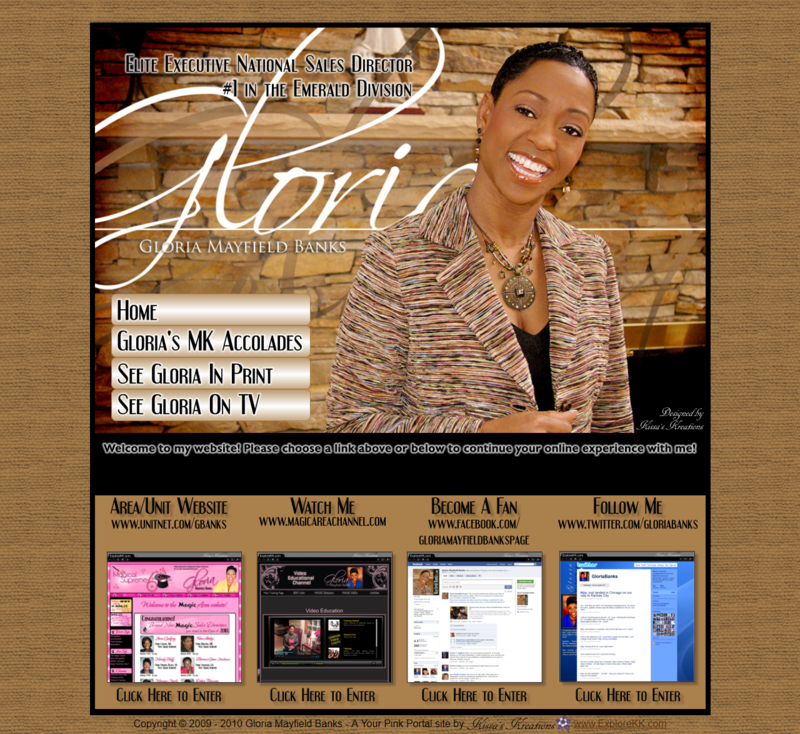 Now in 2018 I’m bring it back as a easy way for you to have a simple page to start your personal brand and share links that are important to you.